Jesus Himself said that knowing God is an essential part of salvation. We must know who God is, and the way to know God is to learn what He has revealed about Himself. 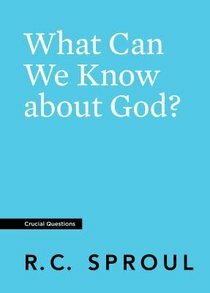 In What Can We Know about God?, Dr R C Sproul unfolds Scripture's teachings on the nature, will, and attributes of God, presenting a glorious picture of our great Creator and Savior. About "What Can We Know About God? (#27 in Crucial Questions Series)"